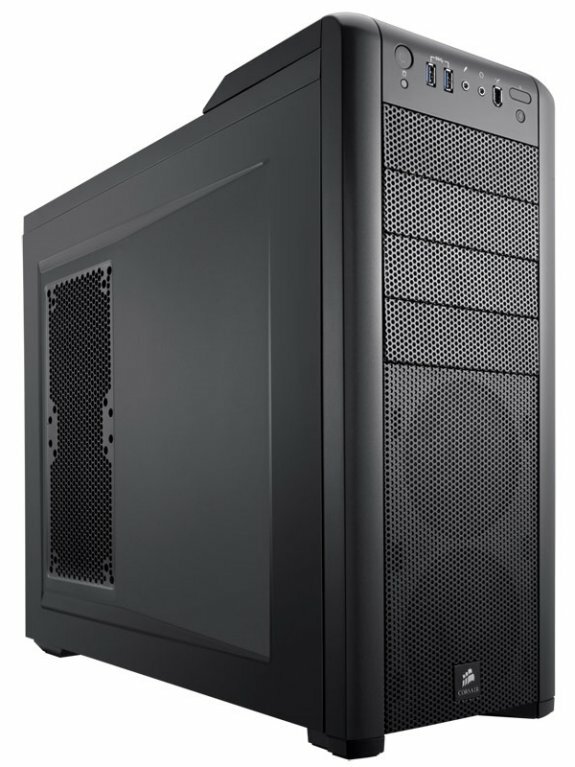 Corsair announced the Carbide 400R and 500R cases, the 400R model is pictured below. Corsair®, a worldwide designer and supplier of high-performance components to the PC gaming hardware market, today announced the Carbide Series™ mid-tower cases. The Carbide Series 400R and 500R have been designed for PC gamers with the same builder-friendly philosophy as the award-winning Obsidian Series™ and Graphite Series™ of PC cases, but at aggressive price points. New system builds and upgrades are fast and simple, thanks to the easy side panel access and tool-free drive installation and removal. 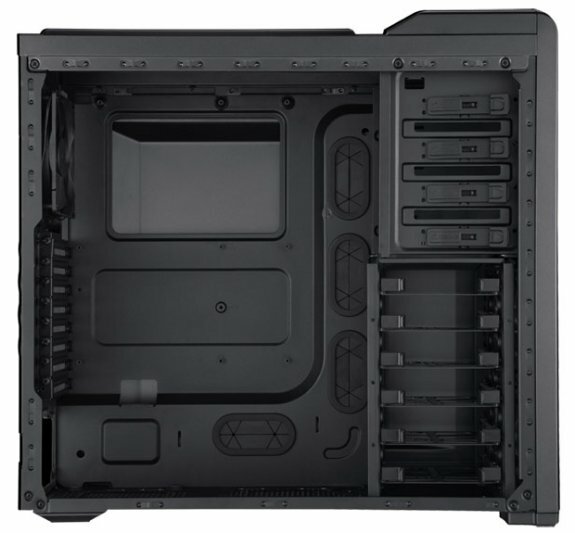 Corsair's innovative cable-management system allows for clean-looking builds and improved airflow. Both the 400R and 500R have room for 240mm dual radiators for compatibility with the new Hydro Series™ H100 Liquid CPU Cooler and modular liquid cooling systems. An abundance of additional cooling options provides for safe, reliable operation of high-performance components. The Carbide Series 400R includes three fans, with a total of four 120mm fan mounts and six 120mm/140mm mounts for serious cooling potential. The Carbide Series 500R has even more cooling flexibility, including removable/relocateable hard drive cages, a multi-channel fan controller, and a 200mm fan mounted on the side panel mesh screen for extra GPU cooling power. Both models provide eight PCI-Express slots, making them ideal for multi-GPU setups. The Carbide Series 400R can accommodate full-length GPUs of up to 316mm in length, and the 500R can accept extra-long GPUs of up to 452mm in length by removing one of the two hard drive cages. Both also offer native SSD (2.5" drive) support, and the front panels have two USB 3 connectors (with internal connection) support as well as Firewire, headphone, and microphone connectors. "Corsair has shown what it takes to create in-demand, highly rated PC cases: make them sturdy, easy to build with, and great-looking." said Ruben Mookerjee, VP and General Manager for Components at Corsair. "With the Carbide Series, we're applying our expertise to the high-volume, aggressively-priced PC gaming segment. Our renowned builder-friendly ergonomics ergonomics and reliability are now within reach of gamers whose passion for building high-performance rigs is unlimited, even though their budget might not be." The Corsair Carbide Series 400R and 500R will be available from corsair.com and authorized etailers worldwide in June. The 400R will be available for a US suggested retail price of $99 USD, and the 500R will be available for a US suggested retail price of $139 USD. For more information on the Carbide Series and Corsair's complete line of PC cases, please visit the Corsair web site.